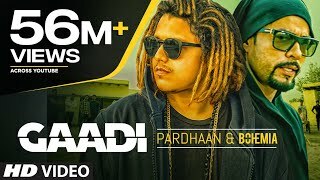 Presenting latest song of 2018: Gaddi sung and written by Pardhaan Feat "Bohemia". The music of new song is given by Sukhe Muzical Doctorz. The video of new song is directed by Robby Singh. Enjoy and stay connected with us !! Main aur mera bhai Pardhaan!